Jeff earned a Bachelor of Arts degree in Biology from Trinity University in San Antonio, Texas. After graduating, he conducted research on gravity sensing organs of newts at the University of Texas Health Science Center in San Antonio. He received a Master and a Doctor of Philosophy degree in Plant Pathology & Microbiology from Texas A&M University. After conducting postdoctoral research on the biochemistry of viruses, he became a middle school science teacher at Hawley Middle School in Granville County. He has served as a science teacher, soccer coach, mentor, substitute bus driver and team leader. Jeff was recognized at the 2014-2015 Teacher of the Year at Hawley Middle School. In 2015, he taught LEGO robotics as part of the county’s STEM summer camp. He also was a Duke TIP instructor from 2010-2012 and an instructor for the University of Phoenix from 2011 to 2015. Jeff currently serves on Hawley’s School Leadership Team. During the 2018-2019 school year he will be teaching 7th grade science. 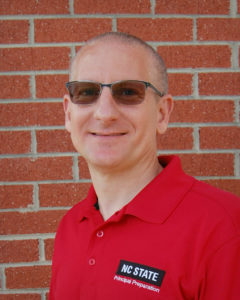 Jeff can be reached at jsbatten@ncsu.edu. Kathleen, a North Carolina Teaching Fellow, graduated with a Bachelor of Arts in Elementary Education from the University of North Carolina at Chapel Hill. Since graduation, she has taught 5th grade at Morris Grove Elementary in Chapel Hill. After Kathleen’s first year of teaching, she was recognized as Chapel Hill-Carrboro City Schools’ Promising New Teacher of the Year. In recent years, she has served as lead teacher of her PLC, faculty chair and member of the SIT, and has mentored student teachers. In addition, Kathleen has assisted in planning school events such as the African American Read-In and Curriculum Nights. She was recognized as Teacher of the Year for the 2017-2018 school year. She currently teaches 5th grade at Morris Grove Elementary School. Kathleen can be reached at kecarswe@ncsu.edu. 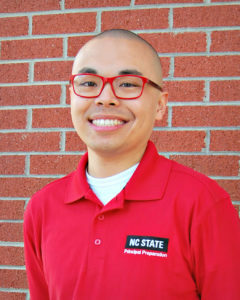 Harrison Do earned a Bachelor of Science degree in Biological Sciences with a concentration in Human Biology from North Carolina State University. 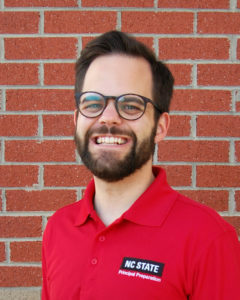 He then earned his teaching license through the NCSU NC TEACH program. Harrison currently teaches 6th grade science at the Magellan Charter School. He enjoys giving back to the Magellan community by serving in a variety of leadership roles such as Coordinator of MCS News, Co-Founder/Co-Instructor of the MCS Leadership Team, and Faculty Adviser to the MCS Dance Committee. Harrison can be reached at hjdo@ncsu.edu. 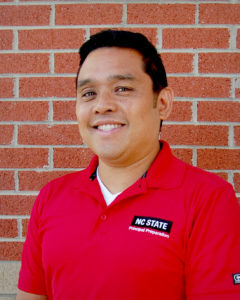 Glenn Estacio earned a Bachelor of Science degree in Biology and a Master of Arts in Teaching secondary science from the University of North Carolina-Chapel Hill. Glenn has taught in the Durham Public School system for the past 10 years. During that time, he has served on the School Improvement Team, PBIS Committee, and MTAC Committee at his school. He has also served as the Science Department Chairperson and as team leader for several years. He has been actively involved in extra-curricular activities including coaching the lacrosse team and serving as the advisor for the National Junior Honor Society. He is currently teaching 7th grade science at Rogers-Herr Middle School. Glenn can be reached at gmestaci@ncsu.edu. Melanie Forte earned a Bachelor of Science degree in Psychology from The College of the Holy Cross in Worcester, Massachusetts, where she ran Track and Field. She joined Teach for America Eastern North Carolina as a 2013 Corp member, and taught 6th and 7th grade English at her placement school, Henderson Collegiate. 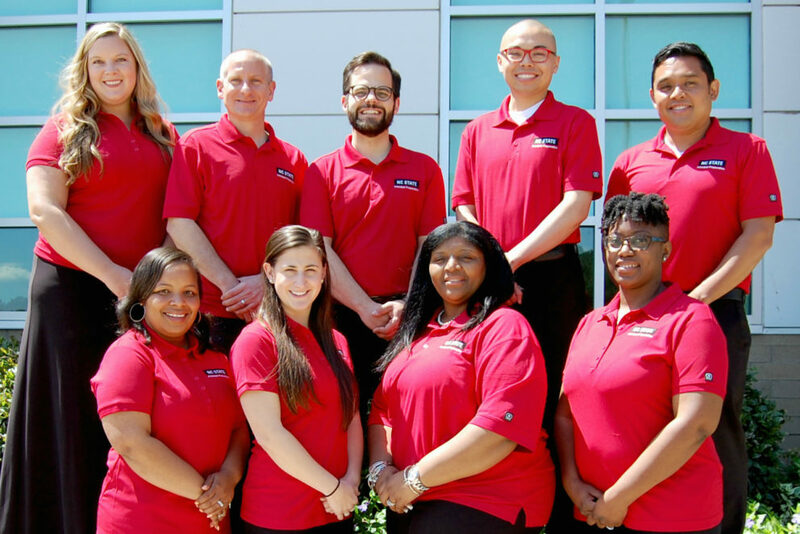 She participated in the RELAY Graduate School of Education Principal’s Fellowship Program in the 2016-2017 school year. 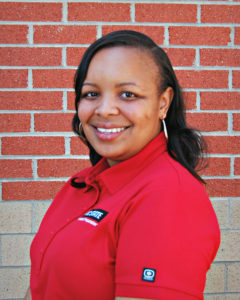 She has served as the Reading Department Chair, Instructional Coach, and 4th Grade Level Chair at Henderson Collegiate. She is currently teaching 7th grade language arts. Melanie can be reached at mrforte@ncsu.edu. 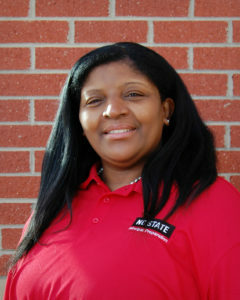 Anita Jarrett earned a Bachelor of Arts in Elementary Education from the University of North Carolina at Charlotte. 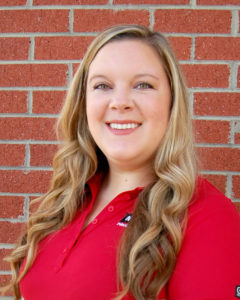 She was recognized as Burton Magnet Elementary Teacher of the Year in 2015. She has served as SIT chair, grade chair, and as a Beginning Teacher mentor. She is currently teaching 3rd Grade at Burton Magnet Elementary in Durham, where she has been teaching for the past 10 years. Anita can be reached at aljarret@ncsu.edu. Will Lamb earned a Bachelor of Arts degree in Romance Languages, specifically in Spanish, from UNC – Chapel Hill. He currently teaches 3rd grade at Club Boulevard Humanities Magnet School in Durham Public Schools. Will has served as grade level chair, a member of the Instructional Leadership Team, and chair of the School Improvement Leadership Team. He founded and coordinates a Friday Clubs program for Club Blvd. Will serves as a mentor teacher for the Duke University Program in Education. He also serves as a Guardian ad Litem in Durham County. Will can be reached at kwlamb@ncsu.edu. Portia Lee graduated from North Carolina Central University where she received a Bachelor of Science in Criminal Justice. During her undergraduate years, Portia spent time volunteering at John Avery Boys and Girls Club serving as a mentor. She served as a lateral entry teacher while in school to obtain a degree in Elementary Education. Over the past five years, Portia has taught 3rd grade at Parkwood Elementary. She has also served as grade chair, SIT team member, PBIS team member, Beginning Teacher mentor, and mClass facilitator. Portia can be reached at pkharmon@ncsu.edu. 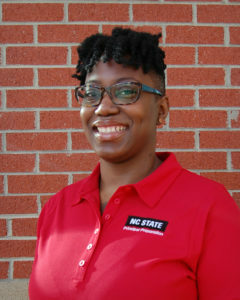 Erika Murphy Newkirk, a North Carolina Teaching Fellow, graduated with honors from North Carolina Central University with a Bachelor of Arts degree in Elementary education. She also graduated with honors from Winston-Salem State University with a Master’s degree in Elementary Education. She earned National Board Certification in 2006. She was named a Kenan Fellow in 2012 and an Education Policy Fellow in 2016. She served for four years on Governor Bev Perdue’s Teacher Advisory Council. She has 19 years of experience in North Carolina’s public schools and has earned four Teacher of the Year honors. She has taught in Pender County Schools, Winston-Salem-Forsyth County Schools, and Durham Public Schools. She has also served as an adjunct instructor at Winston-Salem State University and North Carolina Central University. Before joining her current district, she spent four years working as a Regional Education Facilitator at the North Carolina Department of Public Instruction. Currently, she is the Senior Executive Director of Human Resources for Chapel Hill-Carrboro City Schools. 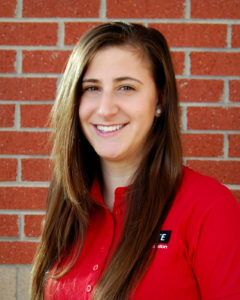 Erika can be reached at ecnewkir@ncsu.edu.